It's not often that Mexican yellow pages listings makes the headlines, but Yahoo has been ordered to fork over $2.7 billion in a legal dispute involving them. Yahoo released a short and cryptic press release late Friday about the case, which was brought by Mexico's Worldwide Directories and Ideas Interactivas. 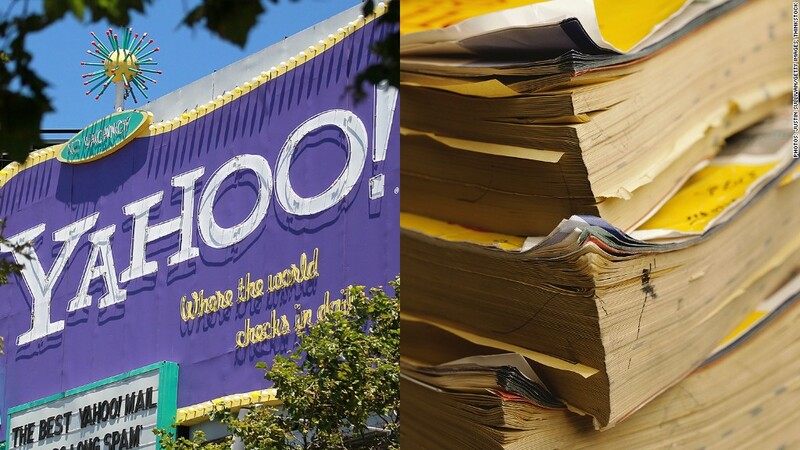 The plaintiffs sued Yahoo (YHOO) and Yahoo de Mexico for "breach of contract, breach of promise, and lost profits arising from contracts related to a yellow pages listings service." A federal judge in Mexico City has ordered Yahoo to pay $2.7 billion, though the company noted in its press release that the judgment is non-final. Yahoo said it "believes the plaintiffs' claims are without merit and will vigorously pursue all appeals." Yahoo didn't reply to a request for further comment or explanation of the case, and the Mexican court documents don't appear to be available online. J. P. Morgan analyst Doug Anmuth was similarly stumped. A research note he issued Monday focused on the ruling, around which he said there is "little clarity." It's unclear how the court came to the $2.7 billion figure for the judgment, but Anmuth said it "appears high based on the seemingly small size of Yahoo's business in Mexico." Investors don't seem to be too worried that Yahoo (YHOO) will be forced to actually pay up. Shares were flat in Monday trading.